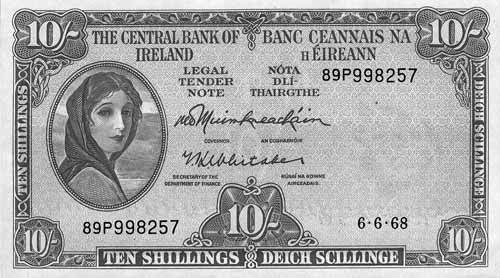 If anyone has a banknote with a higher serial number, please post an image of it, and I will update this list. Do not post serial numbers without an image of the note! Pictured notes highlighted in orange. The highest numbered £1 note recorded so far. EDIT: 08.09.15 Not any more! A new highest numbered note has turned up, see posts following. 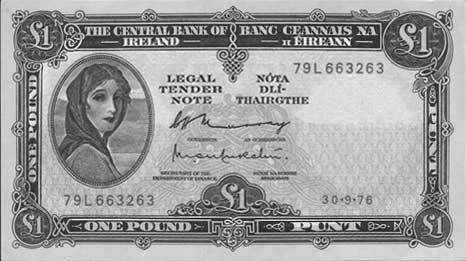 Central Bank of Ireland, Lavery One Pound note 1976, highest number seen so far. I found this in an envelope recently, put aside in the late 1990s, the highest number I'd seen then, and still the highest now. The highest numbered £5 note. 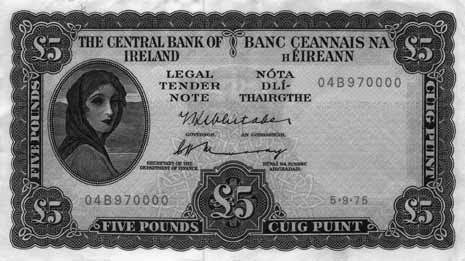 Available data from the Central Bank of Ireland indicates that this is the highest-numbered £5 note. 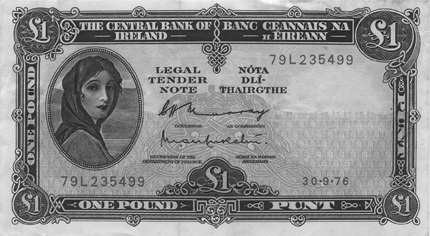 Central Bank of Ireland 5 Pounds 1975 highest number. There are higher numbered notes out there! 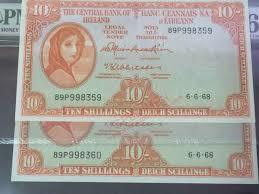 10 Shillings 6.6.68, highest number recorded. The highest numbers are being rolled back! I just got an email from a visitor who has spotted a £1 1976 with number 79L 663263. It's an unused note, so likely out of a run. Getting closer to the end of the 79L prefix now. A new highest number Lavery £1 note has been spotted by a member! No. 79L 744480, dated 30.9.76. A decent grade note too, at around Ef by the looks of it. 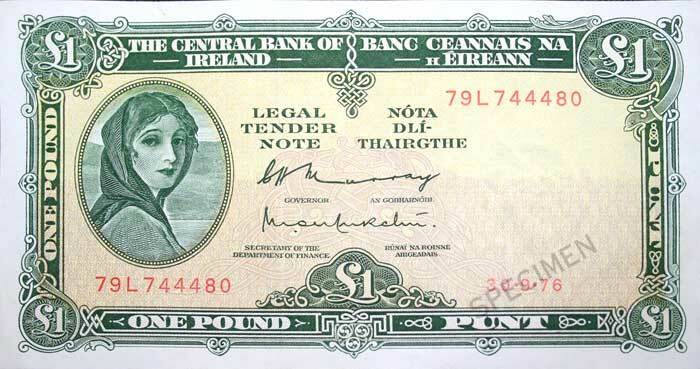 Lavery £1 note, highest number seen. I saw the note today, and it weighs in at AU. It increases the number bracket by a couple of hundred notes to 89P 998359. I wonder if the 1,000,000 note for 89P was kept. Did people know about them then. It is one that might have been kept. Collectors certainly knew about them then.